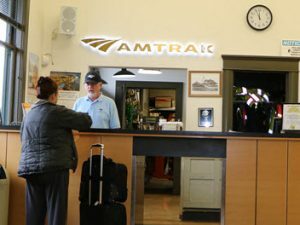 Washington state officials announced small dogs and cats can travel with their owners on Amtrak Cascades trains, starting in early March. Ron Pate, director of Washington’s Department of Transportation, explained that only service animals were permitted on trains. Reservations, costing $25 per pet, must be made in advance. Reservations will be accepted for travel beginning March 7. Pets are not allowed on trips to Canada or trips longer than seven hours.